Postcard for J.K. Potter’s exhibition at Bess Cutler Gallery. Front of card features Naked Lunch of Lydia Lunch, 1992. 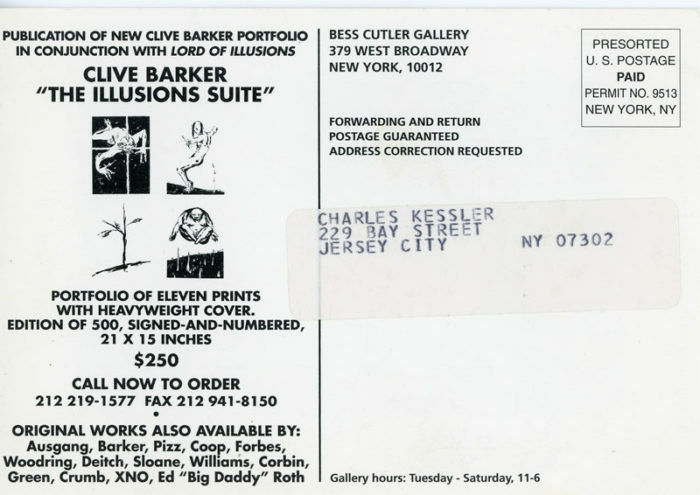 Back of card advertises the publication of Clive Barker’s The Illusion Suite.